Bakers struggle sometimes with cutting pies into equal portions when the portions are an odd number. 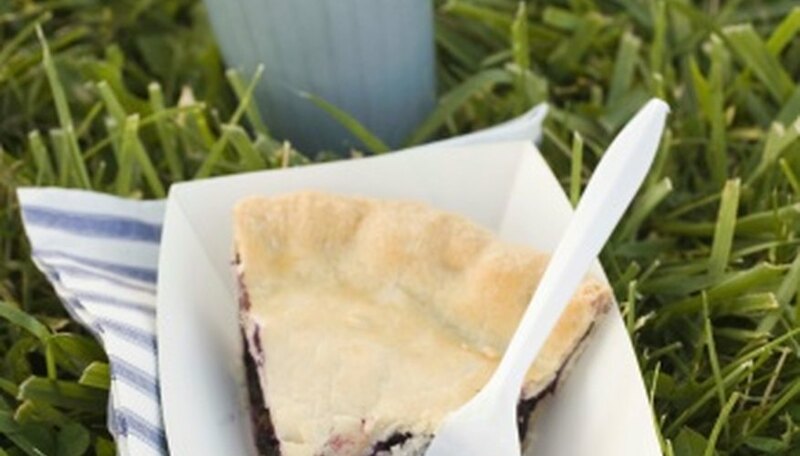 Dividing a pie into two parts is easy; cut the pie down the middle (either horizontally or vertically). Similarly easy is creating four equal portions; cut down the center both vertically and horizontally. Cutting a pie with mathematical precision into five equal pieces can be done in three ways. Alternatively, if you do not want mathematical precision but just satisfied pie eaters, there is an easy way to cut the pie into five fairly equal pieces. Consider both quality and quantity when pondering how to cut a pie into five equal pieces. At least theoretically, it's easy to cut a pie into five equal proportions. A circle is 360 degrees and 360 divided by five suggests that for a five-piece pie, each cut at an angle of 72 degrees would suffice. Even if the cutter got out a protractor and cut each piece to a perfect angle, however, the question of quality would still be debatable. If it's a cherry pie, for example, perhaps a brother gets more cherries in his piece than a sister or vise versa; the arguments are infinite. The question of quality, therefore, must be accepted as unsolvable. Make a template with Microsoft Excel or similar program. After opening the program, create a simple table with two columns, "Piece Number" and "Portion Size." Enter the numbers one through five in the "Piece Number" column and the number "20" in each of the five cells of the "Portion Size" column. Create the pie chart by using the "Insert" menu and the "Pie Chart" option. Make sure the pie chart is somewhat smaller than the actual pie you are wanting to cut. Cut out the template. Place it over the pie and make marks of the individual line edges on the pie. Lift the template and cut the pie. There is also a ready-made five-piece pie chart template in Resources. Measure the diameter of the pie and multiply by pi. Divide this figure by 5. 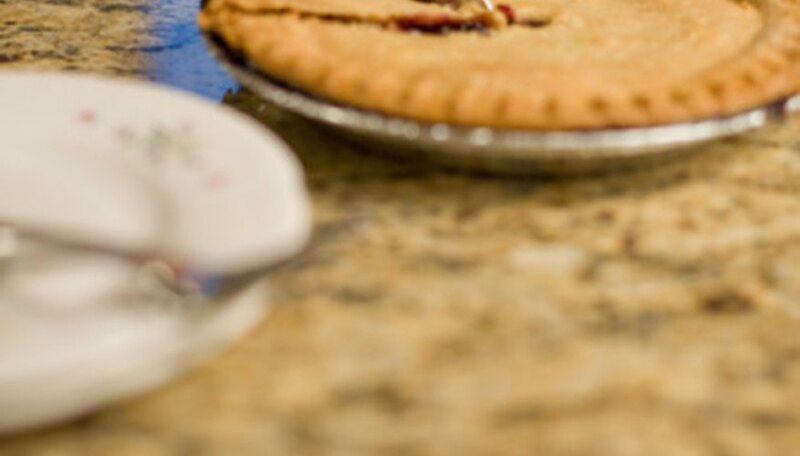 Mark the correct calculated distances around the circumference and then cut the pie. Make the first cut downward from the center of the pie. The next cut should be in an upside-down "V" shape. Then make a right-side-up "V" cut. This method will produce five approximately equal pieces; however, they will not be mathematically precise.